The horse meat scandal has taken a turn that will no doubt be an even bigger shocker for consumers, as there are now worries that horse meat may not have been the only equine meat found in Findus lasagna and frozen burgers, but also meat from another four footed animal as well, with speculation that donkey meat may have also found its way onto our plates. Initial investigations have found that the horse meat originated from slaughter houses in Romania and exported to France where it changed hands several times before being shipped to a factory in Luxembourg to be processed into frozen meat dishes for supermarkets for sixteen European Union countries. However following the vast intricacies of the supply chain where the fraud of labeling horse meat as beef actually occurred, has become a giant jigsaw puzzle, that seems not only to involve only French companies, but also has been linked to Dutch and Cypriot companies. 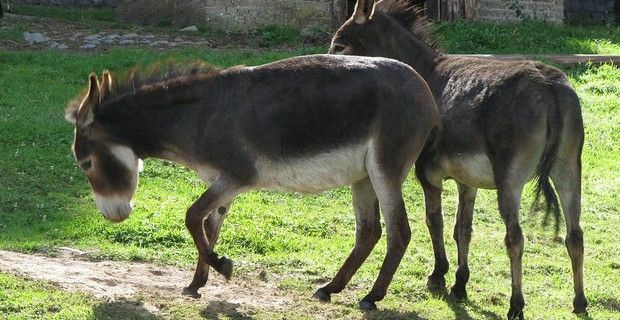 So how could donkey meat also ended up in the food chain? Vice- president of the European Parliament agriculture committee Jose Bove suggested that an old law in Romania - that was only recently implemented - could be the cause , as the law banned horse-drawn carts from roads - which also means donkeys - and with the animals becoming burdens, thousands have been sent to slaughterhouses for their meat. With French companies involved in the burgeoning scandal, the French government has launched their own investigation with promises from the agriculture minister, Stéphane le Foll that, "All fraud must be dealt with severely. The investigation must be completed as soon as possible." But the country has now also been put on the 'griddle' regarding their meat traceability measures that were imposed during the BSE 'mad cow' crisis, but French consumer minister, Benoît Hamon isn’t willing to let France take all the blame in accusations of wrongdoings, and has suggested that Britain isn't completely innocent after voting in Brussels on cutting the budget for EU food-safety checks.